February 1 marks the festival of Vasant Panchami 2017 in India. The festival is also known as Saraswati Puja. The word “vasant” means spring, and Vasant Panchami marks the beginning of the spring season and the coming of the festival of Holi. Saraswati Devi is the goddess of wisdom, learning, speech, and music. 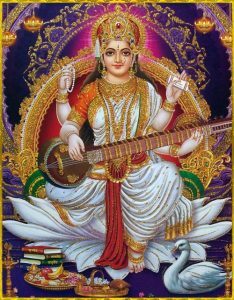 She is shown holding her instrument the veena in two hands, a book in another, and a mala (for mantra repetition) in the fourth hand. Saraswati (phonetically SUH-russ-vuh-tee) wears a white sari and is typically seated on a lotus or a swan. Both are symbols of purity. Students perform a puja (ceremonial worship) to Saraswati and ask her to bless their books and other school supplies, so that they perform well in studies and are blessed with her qualities. Books are considered as sacred objects, so they are never put on the floor. Yellow flowers are offered to Saraswati during the puja. 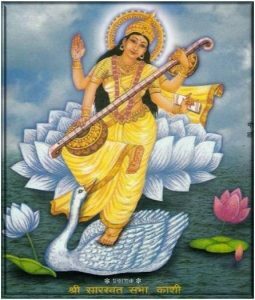 Many people consider Vasant Panchami to be Saraswati’s birthday. Vasant Panchami is held during the Vedic month of Magh on the fifth day of the waxing Moon. Panchami refers to the 5th phase of the Moon. It is also called Basant Panchami. In Vedic astrology, the full moon falls in the nakshatra or star of Magha in Leo during the month of Magh. Women and men typically wear the color yellow on Vasant Panchami. 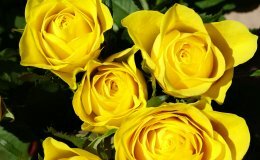 Yellow is a symbol of spring and newness. The sweet kesar halva is traditionally offered on Vasant Panchami. It is made from flour, sugar, nuts, saffron, milk, and cardamom. The kesar (saffron) imbues this tasty dish with a yellowish hue. 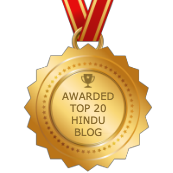 Saraswati is said to have vach siddhi (or vak siddhi) – the gift of perfection in speech. She reminds us to honor the 4 gates of speech before we verbalize our thoughts: 1) Is it true? 2) Is it kind? 3) Is it necessary? 4) Is it the right time? If you are a student or a seeker of the truth or a lover of ancient traditions, you may wish to honor Saraswati as we celebrate Vasant Panchami 2017. You may set up an altar to Saraswati facing East or North, offer yellow flowers, incense, a candle or an oil lamp, and sweets (without eggs). Additionally, may also chant mantras dedicated to Saraswati. You can also read more about her. Kamadeva, the Hindu god of love, his wife Rati, and his friend Vasant are also honored on Vasant Panchami. Ceremonies are also performed to honor nature, which provides the crops to maintain life and provide a means of financial support for many in India. 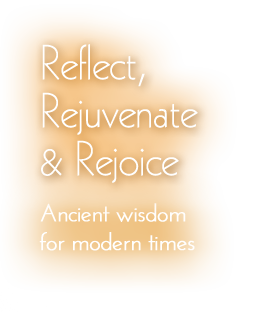 In Vedic astrology, we have a configuration known as a Saraswati yoga. It involves placements of Jupiter, Venus, and Mercury in specific houses and being relatively strong. This combination is said to give the individual owner of this chart the qualities of Saraswati. It gives the person gifts in writing, speaking, and classic subjects. Vasant Panchami 2017 is a notable holiday in India. Then, forty days following Vasant Panchami is the festival of Holi. Shubh Vasant Panchami 2017!